A specially formulated fluid which is to be used in heater type smoke machines. 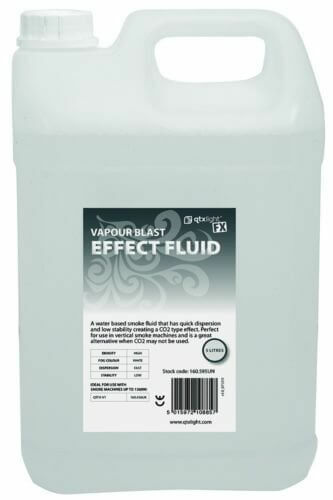 When the fluid is released it creates a CO2 type blast effect, quickly dispersing over a large area before disappearing. Perfect for use in vertical smoke machines and is a great alternative when CO2 may not be used. Please call the shop for more information or to pay by card on 01379644135/01379658964.